What's the difference between the rulebook contained in the box set and the Battletech Manual? The A Game of Armored Combat ruleset covers the equipment used in the Succession Wars (standard lasers, LRMs, etc). The BattleMech Manual covers equipment throughout the eras. Clan tech, Star league tech, advanced Inner Sphere tech from the 3060s on, etc. Pulse Lasers, Gauss Rifles, Artemis fire control, triple-strength myomer, and more. The BattleMech Manual also covers some additional options for rules, like artillery/aerospace support, design quirks, alternative initiative, simple fire and smoke, etc. But the technology from other eras is probably the biggest difference. You've Bought the Beginer's Box or the Game of Armored Combat and you want to throw down and see if you're better than you opponent! I've gone with the above because the BV is pretty much identical for the two combos. Using Pilots of 3/4, the two mech combo’s means anyone who has purchased either of the two new box sets can field the mechs, and the BV’s for both combos come in at 3248 vs 3249 respectively. This means regardless which box set someone has purchased leading up to this event is not precluded from participating. I'll let folks know how it played out after tomorrow night. Does the BMM also have blank sheets in the back? I have not looked. Fantastic Information, greatly appriciated by the new guys like me. Its unfortunate that some of the core books like the Battletech Manual and Total War books are out of print, one would have hoped that these things would be available with the new box set being out. I do have one sort of question/comment, curious whar you guys think. The new minis that came with the box set are excelent, great quality, plastic which in my humble opinion is really the way to go (metal is a deal breaker for me). I noted however as i was looking to expand my mini collection that the quality, style and just general thickness of the other available minis is... well frankly just god awful. I was actually shocked to see how bad they really are, in particular if you compare them to modern standards and the new box set. Is it just me? I guess the question is, will we see more along the lines of the box set? BMM and TW are supposed to be in a re-print so look for them. Personally I was fine with the last set of plastic minis in the Lance Packs and previous box set of a few years ago . . . BUT there have been plastic stinkers before, so it depends on what you are comparing it to at this point. As for looks . . . some of that is related to the art, the new Classics have art that is a bit bulkier and sometimes it will depend on the weight class of the mech. Typically the light mechs have art that makes them more spindly and thus their minis do the same, your heavies and assaults will be thicker of course. For information's sake, why is metal a deal breaker? Both Total Warfare (5th printing was in fall 2018) and the BattleMech Manual (2017) are still available at reasonable prices on Amazon and Ebay. The BMM is getting a reprint soon. Is the new printing of TW in short supply already? there have been a lot of opinions about the quality of the old minis but i think most would argue that these are a galactic leap forward. how many in plastic we'll see is anyone's guess. CGL isn't a minis company and iirc under the license and / or agreements they're only able to put them into products like the new boxes - as opposed to just selling them ad hoc. They chip, they are hard to glue together and break apart very easily, they are a pain to store and generally I find that their detail is almost always sub-par compared to plastic molds. I have not gotten the boxes yet- wife claimed the right, so I cannot say how the metal stacks up to the plastic. But as Sartis said, I am not sure we will get any more (much as I want them) in CGL plastic. If you are wanting plastic you might want to look into the Lance Packs, they were the previous best plastics. Well the good thing is that 10 unique mini's plus the cardboard stand ups is plenty for playing the game, its a very good box that doesn't have that "incomplete" feeling so many starter mini sets from other companies have. So Im quite happy with it, but I have to say, if this company hopes to see Battletech grow and compete with some of the other games in the genre on a larger scale they definitely have to address the miniature issue they have and I definitely think they have one. Pretty much compared to any other mini game out there they are severely outclassed. 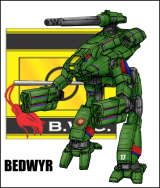 For me personally I would have gotten into Battletech a long time ago, in fact I was seriously considering it with the last box set they put out which was at least using plastic minis but they were just soooooo ugly, I just couldn't make peace with it. I mean I know the mini's and the game are separate things, you could play it with a half eaten Cheeto but most gaming circles that you would introduce a game to are going to judge the game by appearances initially and when your trying to bring the game to a group that is used to playing the Legion, Warhammer and the like, its a pretty hard sell if the mini's are ugly. I think with this new box set I will be able to sell a few people on the game, but its not great news if there is no prospects in the near future for expansions with a higher quality then what we get out of the 3rd party companies like Iron Wind. I looked through their entire catalog hoping to find a few mini's that might get a passing grade but to be frank, I didn't find a single one I thought was even close to good enough and their prices they charge for such poor quality is disturbing. Wait... metal chips these days? Is it really so long ago that we used actual lead? I think there will be more plastic minis, but to will not be any time soon. They are not holding off on releasing metal warhammers, archers, etc for nothing. But they are dedicated to seeing the current box set stay in print first. the paint tends to. i've put my minis through two big moves and the metal itself doesn't chip. Ah, ok... that makes MUCH more sense. Thanks! I had resisted my friends’ attempts to get me into Battletech for years because I wasn’t a fan of lot of the designs. The new sculpts won me over and I finally got my boxed sets and a few metal IWM mechs. Gotta say, I’m not a fan of the plastic material, or of the mechs being preassembled. I’m sure it was the right decision overall, I’m just finding these minis difficult to work with. Knives and files behave differently on it compared to the hard plastic and resins I’m used to, making mold line removal a bit of a challenge. There’s also some shrinkage that’s most visible on the Griffin’s torso. It’s ever so slightly concave. And is the Awesome’s arm-mounted PPC supposed to be circular or oval in cross-section? That said, those issues are acceptable at this price point; they’re good value, and they still look great. I’m just into the modeling side of things to the point where I’d be willing to pay more money and do more work to get a cleaner model. So I’m looking forward to IWM’s renditions of these mechs, despite metal’s issues with paint chipping. Yeah its not a problem with metal breaking off or anything, but the paint has a tendency to chip, even if you primer it really well. This in on its own is not a huge issue, it just requires a bit of care, but to me personally minis just look better when they are bigger and plastic. Makes them easier to make, easier to use. 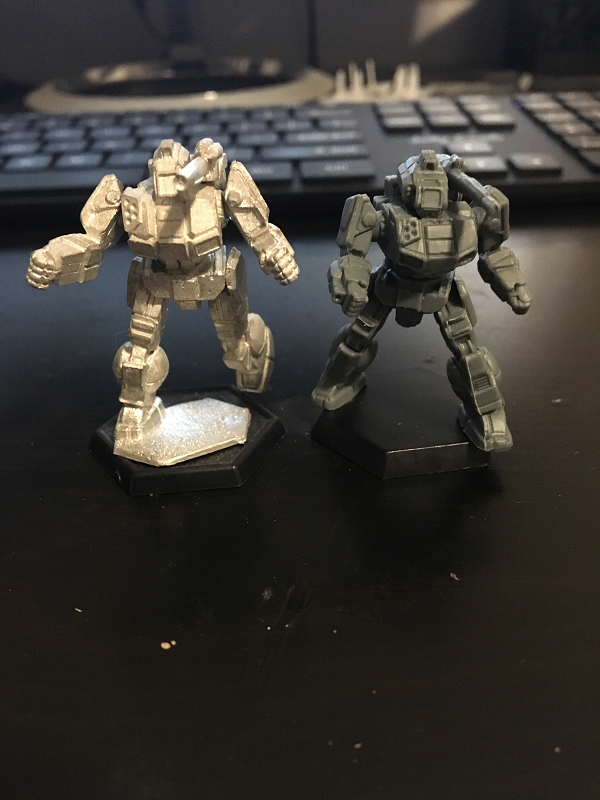 The new minis in the box set are ideal and anyone looking to get into Battletech, I think this is a perfect way to start. Still though I think the developers could benefit from taking some lessons from popular and well received miniatures games that have come out in the last 5-7 years. A lot has changed since the days of managing games like this, it kind of feels like Catalyst is stuck a bit too much in the past. I mean I think its great that the game is so backwards compatible and so little has changed in the formula, but there are a few quality of life things they could do that would go a long way of bringing in more players. This is one place I think a lot of the modern mini games in particular from FFG have excelled at and even before my first game I added. For example during movement, you always have to remember where you started from and how you were facing and in the heat of the moment of thinking about your move, I find we often lose track and it can lead to unwanted mistakes. We added a triangle shaped (stress tokens for those that know) from X-Wing. So when you start your move you throw down the token facing in the direction of the mech. This way you can pick up the mini and count out your moves, fiddle about while you decide where you want to land and then its easy to track how many hexes you moved. Simple token fixes it. This is another thing everyone has a work around for (most use dice as the book recommends) but when you have a bunch of mechs bunched up in a small area this gets really messy really fast. I know that everyone uses clear plastic slips and white board markers, but why not include a simple heat tracker in the box. This is another thing that is sort of bulky. We find in a 4 on 4 mech game there are 8 character sheet at the table.. its a bit unwieldy, it would be nice to put some design thought into shrinking this and creating something that takes up less space. Im not a designer so I suppose I dont have much advice to give but to me tokens, cards and simple game aids that compact the game, make it easier to track and clearer for the players is something that should be looked at not just for the benefit but just to make the game look more modern. I find my friends so accustomed to modern miniature games like those from FFG kind of look down on Battletech for its rather dated persona and I think its unwarranted because if you ignore the minis and look of the game, despite it being 35 years old it really holds up as a fantastic tactical game and Im actually quite surprise at how little attention it gets in the market. I really think with a bit of thought to its aesthetics it could have a real resurgence. Certainly this last box set was a great approach but I really think they could do a lot more to attract new players even without addressing the mini issue, though I would say this should be on the top of the agenda. Just to characterize the market we fans see for you guys, super high-quality plastics and resins need high volume to make the price point drop. The box sets are unusual in that they're one of the common points of purchase for most fans. Ironwind fills out the other 98% of the miniature product line because spin-mold casting can accommodate small lots for several thousand units better than the expense of injection molds. I just got into gunpla kits and deeply admire the mold quality and engineering (double-shot maneuverable joints, wow). But fans across multiple countries sustain the volume so much better. Same for Reaper and GW. We've seen plastic kits before and I wouldn't count them out as a business model, but that's up to the size of the BT market and Catalyst's business model. Basically, if I had $20 million to sink into capital, I, too, could make some amazing models. edit: and that's not to pooh-pooh your standards for good art design and manufacturing, but to help characterize just how huge these other companies are compared to CGL and their mini partner, IWM. I really do believe that here is where the division of audience really is. Many modern miniature games aren't getting their market shares and consumers from the classic stereotypical miniature gamer, but rather from the board gaming and role-playing renaissance taking place right now. This market has exploded, where 10 years ago a board game was highly successful if it sold thousands of copies, they are now selling in the tens of millions. Role-playing too has exploded thanks largely to the exposure of social media like Youtube. I mean Critical Role on Youtube gets as many viewers as episodes of Game of Thrones and these markets are practically doubling every year. Miniature games are a natural cross-over the market loves nostalgia. Games like Magic The Gathering, Warhammer 40k, Dungeons and Dragons .. they are more popular and more people are playing them today then at any other time in their franchise history and I really do believe that Battletech is part of that old school legacy. So many people grew up playing Battletech PC games and its as common to say "yea I played D&D back in the 80's" as it is for someone to say Battletech instead. I really do believe this franchise has a great future, the success of the latest PC game has put the word out there, the new box set looks great. I dont know, Im no business man or designer, but Im hearing the word Battletech in conversation a hell of a lot more right now then I can remember it ever happening in the last 20 years. It seems to me that there is some real leverage here but I think the game really needs to cater to the potential audience and that really means dazzling them with toys and product availability which I think is kind of a problem right now. I mean I just bought the box set and the starter set and frankly me and my friends are ready for more and I kind of feel like there is not much to buy. Many of the books are hard to get overseas where I live (Sweden), the existing old miniatures look really dated and the complexity level and depth of the game is really intimidating even though realistically its not anymore complicated then say X-Wing. It took me several days of researching and reading just to figure out what all the different products are and how it all fits together, only to discover most of it is not available. Im rambling here but just some thoughts really, Battletech is really exciting, it kind of feels like it should be getting more attention. One of the Awesome's arms is supposed to be a stub- 1 PPC in each side torso and one in the arm. There is a later version that has one in each arm as well, but that is not the one depicted. To Bigkahuna- if you have not looked into it, there are a LOT of materials available as PDF and they have a higher release rate for PDF products. Part of the pause right now is that there was a change in leadership which required the new team to get their feet solidly under them before they take off. Also, typically we go into summer with new releases for the Cons. As for tie ins, I think its March 1st we are going to get a official PDF covering the new HBS game to deal with the Arano Restoration and I think history. So these released and were out of stock everywhere in about 5 min. Are there more incoming or will Battletech have no in store representation for another 5 years? So Bigkahuna, rather than just looking at the new minis last night I actually handled one. I think I see what you mean in that the plastic feels denser which I think lets it hold a bit more detail- but some of that is related to the art. I look forward to worktroll's modification posts lol. I strongly agree with this. I am in love with these new boxed sets and really, really hope to see more of them in the future. If anything, stuff like the old lance packs but with this new quality would be extremely welcome. I also have a noob question: Where can I find Mech sheets like the ones from the rulebook? 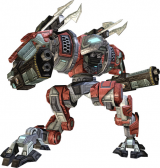 I would love to see the sheets for stuff like Assault mechs and more light mechs, as I plan on playing with them 'as they are' as opposed to fully customizing the mechs. I feel having the mechs have 'default' builds is better for a wargaming experience and incentivizes changing models rather than just writing stuff on a sheet. Note: This is a compilation volume. The entries in this PDF are reprinted--albeit with the current BattleTech logo--from Record Sheets: 3039 Unabridged, Record Sheets: 3050 Upgrade Unabridged-Clan & Star League, Record Sheets: 3058 Unabridged, and Record Sheets: 3075 Unabridged. Players who own those Record Sheets will find the same units presented in Record Sheets: Succession Wars. This PDF is meant for people like me. But... I know just enough to expect to see 3025 mentioned in the description, and I don’t. What’s going on? 3025 is a year, Succession Wars is an era that includes 3025. Its more comprehensive. There haven’t been any products labeled 3025 in decades. TR3039 replaced Tr3025 (and 3026). 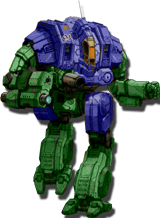 TR Succession Wars is mech only, it includes 3039 (which included the old 3025), but also later entrees that backdated mechs to the SW era. I believe he's talking about the mis-shapen tip of the PPC. I noticed it as well, plus I'm not too impressed with the factory assembly. These plastics aren't perfect but they're on par with the metals.